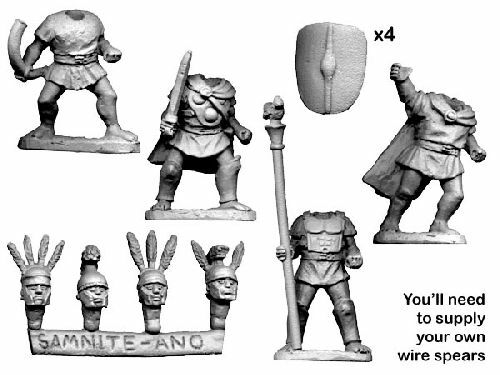 Pack made of 4 figures, with seperate shields and seperate heads. Figures are 28mm sized, made of metal and require glue to fix shield and head in place. Supplied unpainted.